Bonnie Kalanick, the mother of Uber CEO Travis Kalanick was killed in a boating accident on Friday. The accident also left Kalanick's father, Donald, seriously hurt. Writing about the tragedy, Recode's Kara Swisher posted an unpublished section of her Vanity Fair profile of Kalanick that includes a nice section on Bonnie Kalanick. 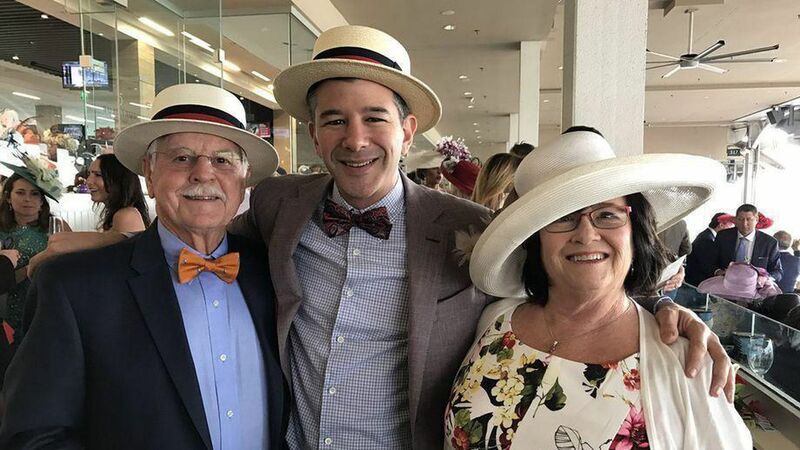 The photo above, posted by Kalanick on social media, was of the three of them at the Kentucky Derby earlier this month. "Last night Travis and his family suffered an unspeakable tragedy," an Uber representative said in a statement. "His mother passed away in a devastating boating accident near Fresno and his father is in serious condition. Our thoughts and prayers are with Travis and his family in this heartbreaking time." Bonnie and Donald were avid boaters in the area over the past 30 years and Travis' brother, Cory, is a fireman in Fresno.